On January 2, 2011, Adam Robinson, John Dermot Woods and Joseph Young set out on a midwestern book tour from Chicago to Minneapolis, stopping in Milwaukee and Madison on the way. Since these cities are notoriously inclement in the winter, it struck everyone as a Bad Freaking Idea, but it turned out great. Along the way, the writers picked up Craig Griffin, a graphic artist and playwright, who came along to document the readings. Which he did, with keen attention to the quirks of the readers. 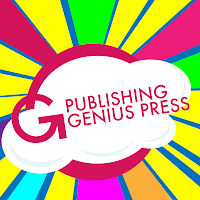 Now at Everyday Genius, that comic eBook is made available for the first time. Craig Griffin is an artist and writer who lives in Chicago and Copenhagen.